..delicious, locally roasted coffee direct to your door. Life offers us a bewildering amount of choice – Coffee is no exception. 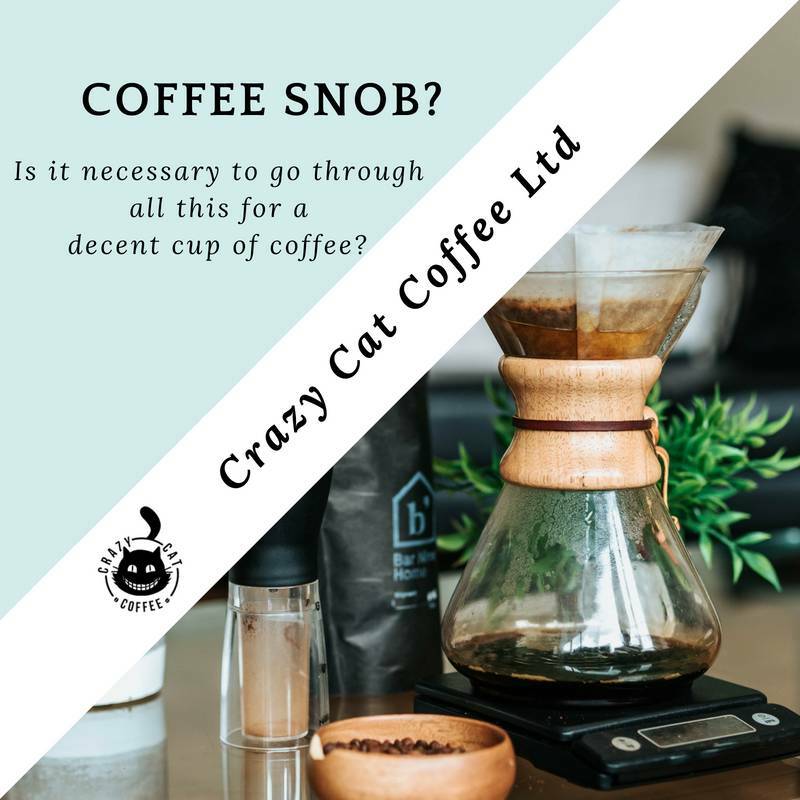 Most of us are caught up in this new Cafe Culture, it’s sociable, it’s accessible (it’s hard on your waistline ) Let’s face it if you’re new to coffee then it’s confusing. 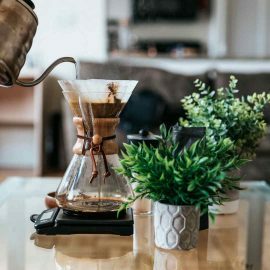 The easiest & cheapest way to ease yourself into coffee is to buy a Cafetiere (glass & metal thing with a plunger – google it) read the info below then go shopping. Starting with the basics – Fresh is best. 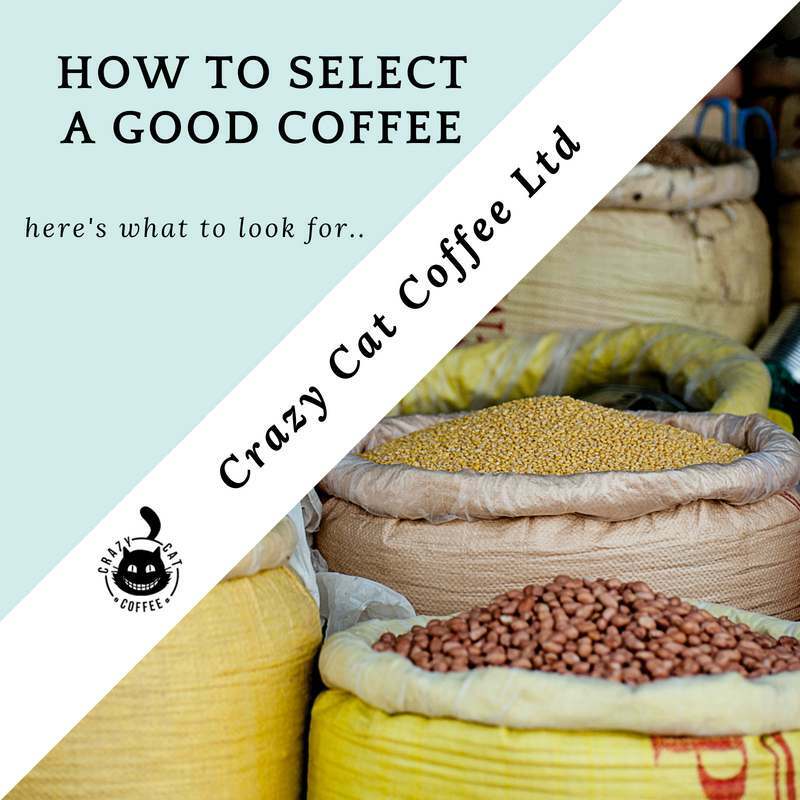 – If you don’t have a coffee bean grinder go for ground coffee (filter ground). It won’t retain its freshness as long a bean but it’s a good place to start. Filter roast – designed for pour over method of making coffee IE Caferiere, Aeropress, Drip fed. First, try your coffee black & add milk if you want to…. are you still with me? Coffee is grown in the worlds warmer latitudes between the Tropic of Cancer & Capricorn. Within this “coffee belt” there is a vast array of altitude, rainfall, sunshine & soil conditions which will alter the taste of the coffee, much like wine growing. Central & South American coffee for chocolate flavor, clean & sweet Known for its hint of a chocolatey, nutty flavor. Brazil has a heavier bodied peanut character. Colombian coffee is mellow with a caramel or toffee taste. East African or Arabian coffee for fruity complex flavor. East African and Arabian coffees have a bit of a fruity flavor. They do have undertones similar to a fruitier, sweeter wine. They also have a lighter taste than coffee from other regions. Ethiopian coffee has complex berry & wine-like aromas, whereas Kenya is known for its stone fruit influence. Asian coffee for earthy, luscious flavor. If you prefer an earthier, more bitter flavor, Asian coffee is a good option. Coffees made in Asian countries tend to have an earthier, richer flavor. They will be more bitter than sweet in comparison to coffee from other regions. Indonesian coffee for earthy, spicy flavor. 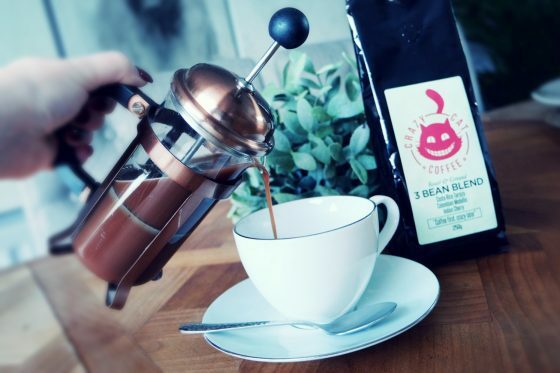 Indonesian coffee has an earthy heavier bodied flavor, along with a hint of spice. If you want something bitter, but flavorsome, Indonesian coffee is an excellent choice. Medium roast: tend to best preserve flavours best during brewing. If you want to taste the distinct caramel flavour of a Colombian then go for a medium roast. Dark roast: will diminish flavour a little. You’ll still get some of the coffee’s original flavor, but you may end up with a bittersweet aftertaste or undertones. Try it if you prefer your coffee less sweet. Details about its origin, where it was farmed, roasted & ground. A “roasted on” date, try and consume within a month of this date. Check the Ethics, a large % now carry Fair Trade & Rain Forest Alliance – but just because it doesn’t have a badge, it does not mean it is unethical. Small coffee farmers maybe part of a co-operative which have set standards for fair pay etc. Be careful Caffeine levels vary by coffee. Coffee usually has anywhere between 65 to 100 milligrams of caffeine per cup. Stronger coffee would be on the higher end of this spectrum, while weaker coffee would be on the lower end. Don’t get me started on dissing the Decaf. I love a good cup of freshly ground coffee, sitting amongst the hipster set in our local cafe and let’s face it other than sitting with Doris in the local charity shop there isn’t anywhere else left to sit. I am about to upset the coffee aficionados again but really what’s it all about? Well according to coffeekind.com making a Coffee (or Brew as they say over the pond) is a science. You’ll need equipment, of course, you can’t be weighing it on your mums kitchen scales. That way you get the perfect brew – so what is the ration I hear you begging me for the information? Then they go onto to say that’s a starting point because if you like a stronger brew then add more coffee…not an exact science then? So hope it’s all clear now. Drink whatever coffee you like. Buy ours if you like? Click the image – it will take you to Amazon. 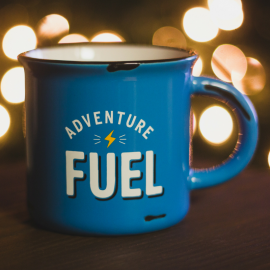 We have been selling on Amazon for just over 18 months – would I have done things differently? – hell yes. 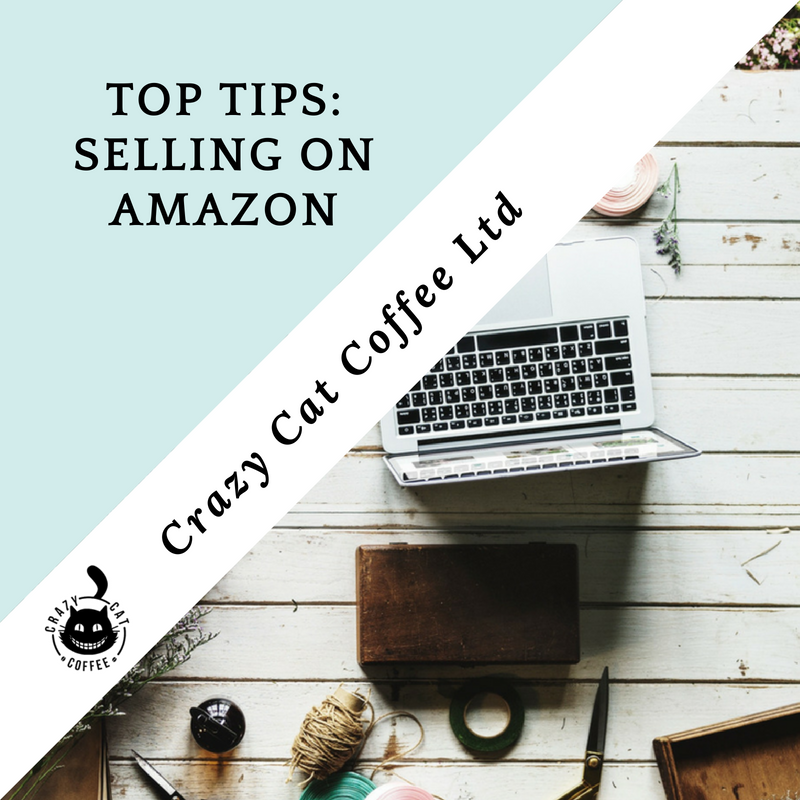 Here’s a handy list of top tips I have compiled for you if you are thinking of starting to sell on Amazon.co.uk ….it’s based on experience! No.1 tip – sell something you love or at least interested in & you can build a business around it. is there potential for colouways/sizes/variations? Creating a brand is the best way to get your message over to the customer, it shows authenticity & that you care about what you sell. No.2 tip would be to join an Amazon sellers group. It’s the best way to stay on top of all the changes Amazon make, they give advice, support & most importantly stop you falling into a black hole of despair when things turn to rat poo. And they occasionally do. Have a look at TheAmazingingSeller.com which is free to join. This is a simplified version of what to do – like I said it’s best to join a group to get all the details. Every product sold on Amazon has a ranking (BSR -BEST SELLER RANKING). It is this BSR ranking that we used to verify if there is enough demand for the product. Can you compete in that market? No.3 tip Don’t go into areas/products which are dominated by big well-known brands…you won’t be able to compete with them. When you search the product you want to sell are there at least 2 competitors that have a low review count? Low review count in a product space tells you that you can compete in the space. You could displace a competitor and take over their position on page 1. – which is where you need to be. So you have a product in mind… next thing you want to do is find a similar or exact product on Amazon and see if its BSR is between 101 – 4000. Click the link and it takes you into amazon.co.uk – use the drop down menu to search for your product in the major categories IE Baby etc. When you find a similar/exact product it needs to have a BSR between 101 – 4000. Click on the product, scroll down to “additional information” and you’ll see the Best sellers rank – does it meet the criteria? The “sweet spot” criteria for customer impulse buy – is your product selling price between £15 – £50? Below £15 and you’ll struggle to make a profit. Have a look at similar products to see what your competitors are selling at – what is the average selling price? Ignore sponsored products – those you are paying for advertisement. The “3 x profit” rule – can you sell for AT LEAST 3X what you buy them for from your supplier! The “real” potential for a product is to know how well (or not) your competitors are doing in the niche. Use JungleScout.com to look at this data. They will tell you how many sales per day are taking place of your product, give an insight into the potential for the product, AND tells you how competitive the space is. Avoid products which have batteries, flammable, fragile, oversized/bulky, heavy..there are many more! Don’t miss a step out & if your product doesn’t meet the criteria – think very carefully before you continue. 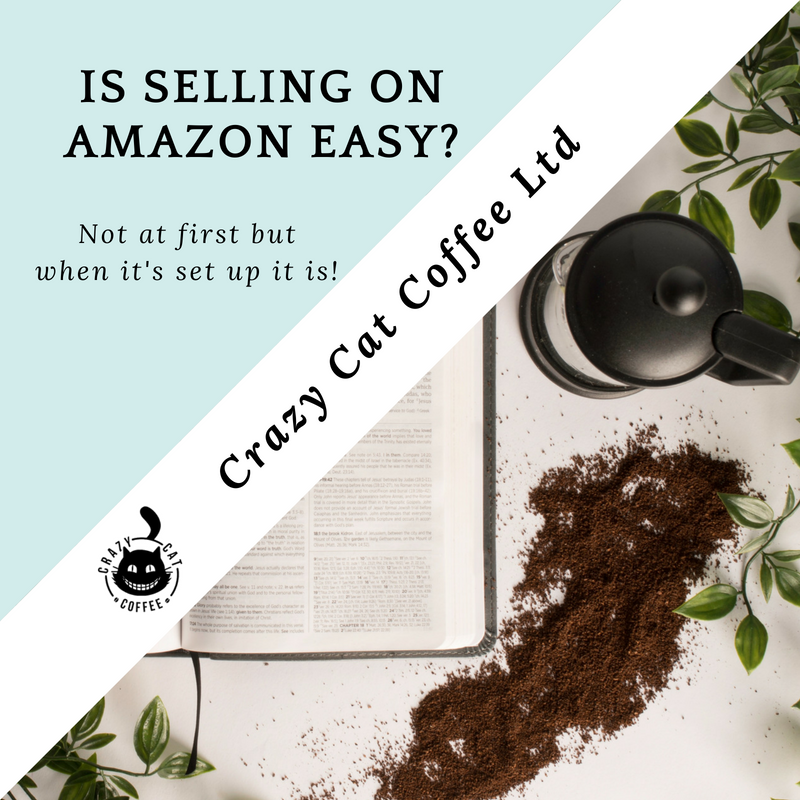 Like I said this is a shortened version of all the information you need to arm yourself with before you start to sell on Amazon – join a group and get involved – it’s a fantastic opportunity if you do it right! If you are struggling to find a product then Junglescout.com will help or join an Amazon seller group. Good luck & if you have any questions feel free to contact us. Chief taster at Crazy Cat Coffee. If you’d like to try our Crazy Cat Coffee then please click here – it will keep you going through all the research you are about to start! There is no excuse. Do not serve awful tasting coffee. So how do you impress someone? Welcome them to your company & then ask them if they would like a cup of coffee. Easy. Not sure what type to buy? I’m going to generalise massively here (no doubt be beaten by the coffee officials) but a roaster once told me to chose a South American coffee for your first taste, they are usually non-bitter and smoother than the coffee which originates from African/India. Not sure what strength to buy? When the packet says “Strength” – this can be a bit misleading but they are trying to tell you how dark the roast will be and how intense the bitterness. A shorter roast can emphasize fruity, acidic aromas and a longer roast can bring out darker, more toasted notes. If you are new to coffee then go for a 2 or 3 strength. To Decaf or not to Decaf? It’s always best to offer both. Just a point of interest when it says Decaf it isn’t 100% Caffeine free – no Decaf coffee is. 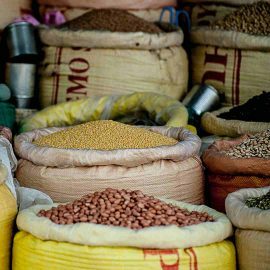 Do you buy beans or ground coffee? Go for coffee which is already ground. Grinding your own will ensure a fresher taste but it’s not always practical. Buy the smallest bag possible until you find out which one is the most popular. It could be fun – you never know who you could meet over a Colombian Excelso. Put up a whiteboard and chart peoples reactions. They are not expensive – most supermarkets sell them. They will give you the perfect start to coffee making. Follow the instructions …it’s usually 1 tablespoon of coffee per person & brew for 3-4 minutes. Again it’s trial and error but don’t over brew or it will affect the flavour. To change the strength of your coffee, adjust the ‘dose’ by increasing or lowering the amount of coffee you use. Serve it black & give them the option of fresh milk or packet of UHT creamer. Coffee will lose its freshness when it is exposed to light, heat, moisture, & oxygen. Keep beans and grounds an airtight container in a cool, dark place. 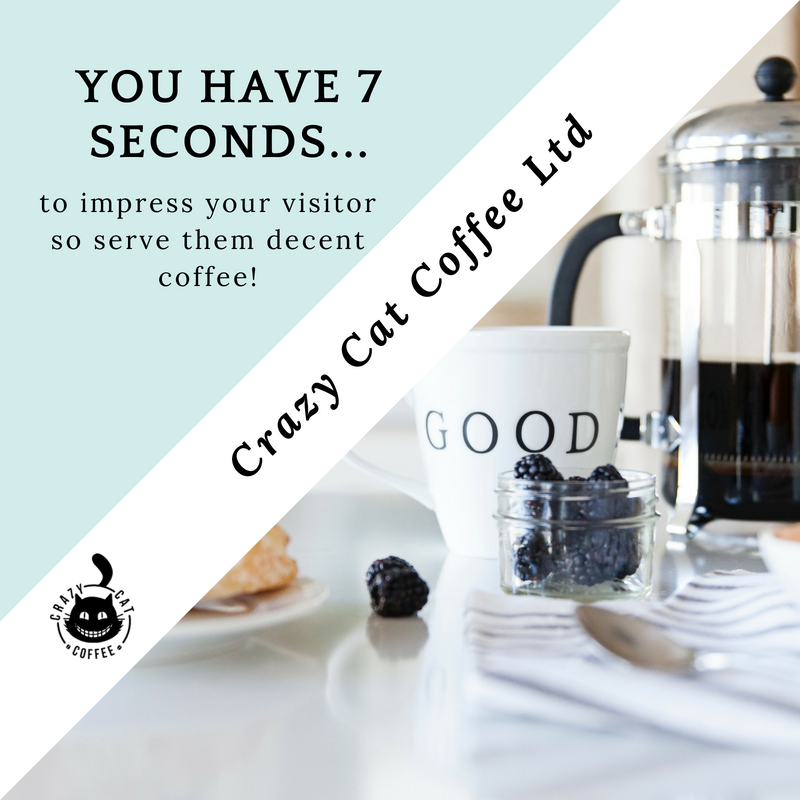 Give your customers superb coffee – try Crazy Cat’s – It’s non-bitter, creamy & delicious, we even sell a decaf & don’t forget the Coffee cups..buy some nice ones! Is selling on Amazon.co.uk easy? Is selling on Amazon easy? The decision is based on profitability & the ease at which you chose to run your business. Things sometimes seem to change in the Amazon world faster than we as sellers can keep up. Long-term storage fees are changing this year, the Amazon guidelines are updated from time to time, and sales rank changes multiple times throughout the day! It’s hard at times to know whether Amazon is getting easier or harder. 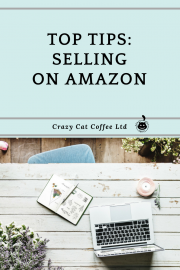 We have been selling on Amazon for nearly 18months now and there are definitely do’s & don’t – it’s a hard & costly lesson to learn if you don’t keep up to date. Get some support and a base to learn from. There are all different levels of experience in these groups so it’s easy to pick up hints/tips post questions without feeling like you are a total numpty. The 2 groups that I’m part of is “Simple Products Profit” group & “The Amazing Sellers”. Google them and find out what is your best fit. Sometimes there are costs involved with joining expert groups, factor it in when you write your business plan. …and when you do join a group find a business buddy. Talk to like-minded people who are at the same level as you & preferably, in the same country. When you find your buddy set goals/intentions, this way it will help you stay on track and achieve them if you have someone holding you to account. It works – do it. Is selling on Amazon more difficult today than a few years ago? Find a product that you like/passionate about/ a hobby you can monetize? – have an affinity to the product that at some point is good enough to form the basis of a Brand. If your heart isn’t in it and all you want to do is sell, sell you will fail. It might not be in the first 6 months but it will fail. Is the product already selling on Amazon? – Amazon is a search engine like google. People search for the product they want and if you launch a product nobody knows exists how are they going to search for it? The key here is to put your own “spin” on it. Make the listing better, the features better. Basically, sell a better product than your competitor. There are more, like steer clear of delicate/fragile/heavy/bulky products etc. The advice is endless but there are guidelines on all Amazon groups and they won’t say “don’t do it” but they will give you the reasons why. The decision is then yours. We already had a product to sell the key to expanding our business/brand is to find related products to add to our portfolio. So I’m done on this one. What you have to do now is some research. Write a list of your passions/hobbies/look through magazines to see what inspires you. Search for each item on Amazon/eBay/Etsy/Google – does it exist in some form? Go plug yourself into an Amazon sellers group & get started. 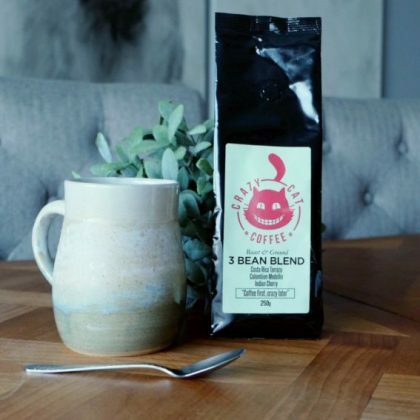 and if you need coffee to keep you going (& awake – we also sell decaf 朗) click here Crazy Cat Coffee We are with you all the way. PS contact me if you need any help. 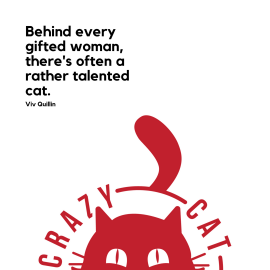 © 2019 Crazy Cat Coffee.